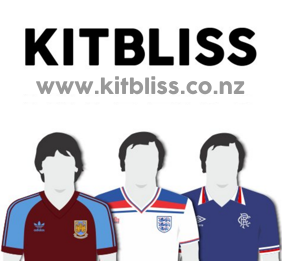 It's often the case that when one inspects some of the most iconic designs in kit history, despite usually being remembered for one particular team (Holland '88 for example), they were actually just a standard template of the time, ultimately used by all and sundry. The aforementioned Netherlands shirt saw action not just on the backs of USSR and West German players, but also a host of German non-league sides. The same applies to one of the other most sited classic designs, that of the Denmark '86 half-and-half shirt. While this doesn't seem to have been used for any other national teams, it certainly adorned a lot of club sides around Europe. Strangely though, it wasn't until a whole season later that that template would land on UK shores, and by that point it had been applied to Aston Villa (for both their home and away shirts), Southampton and this entry, Coventry City. 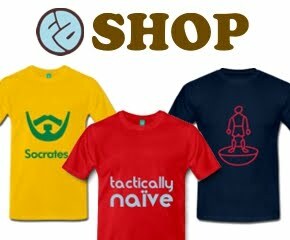 It was asked in our first 50GFSE podcast whether having a national shirt template for your club felt somewhat demeaning and my immediate response was an overwhelming 'No! ', citing this beauty as my prime example. Indeed, once Coventry had announced they were to be supplied by the Danish manufacturer, I hoped and hoped for a version of this template. When I finally saw it, my hope turned to massive disappointment... it was dark blue!!! At the time, I attended the same school as George Curtis' son and one summer '87 evening, we were playing football on our local green. Up rocked Curtis Jr, wearing the new kit... and it was dark blue! Clearly this was not to be the final design as it was of course a sky blue version that the team finally ran out in come August. There's not much to say about the design as it is an exact copy of the famous Denmark '86 one, but rendered in sky blue. The left side is alternating sky blue / darker sky blue stripes and the right is sky blue / white. The sleeves follow the reverse and the shoulders consist of the iconic Hummel chevrons all the way down. So, why this version and not any other? 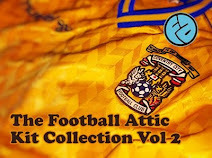 While I think the Villa version was brilliant, this one pips it as it's not only a beautiful shirt, but also my absolute favourite Sky Blue shirt of all time. 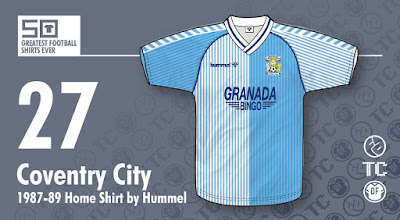 More so, where other implementations seemed to be at odds with the club's usual designs (especially Villa's), for Coventry it actually perfectly combined the two themes the club seemed to alternate between: blue and white stripes and all sky blue shirts. Rather than create a kit that jarred with tradition, it remains the only CCFC shirt to actually fall in both camps. Sadly, its seeming lack of commitment to either cause could be why it's usually regarded as one of the fans' least favourite shirts... or maybe the world just wasn't quite ready for such levels of wackiness. Ironic, given this was just before the insanity of the 1990's. A kit I remember fondly, as a Tottenham fan I wanted something with this design as an away or third kit. Also very popular with Tony Raines & Matthew Hanlon!!! That would have been great in Navy and white! Villa also used the design for its away shirts. The home shirts were (roughly) claret and blue, and the away version looked somewhat similar to Coventry, being sky blue and white. I think this template would have been great in other Coventry colour schemes. A green & black version would be exciting as would a brown one. Green n black would have been sweet!